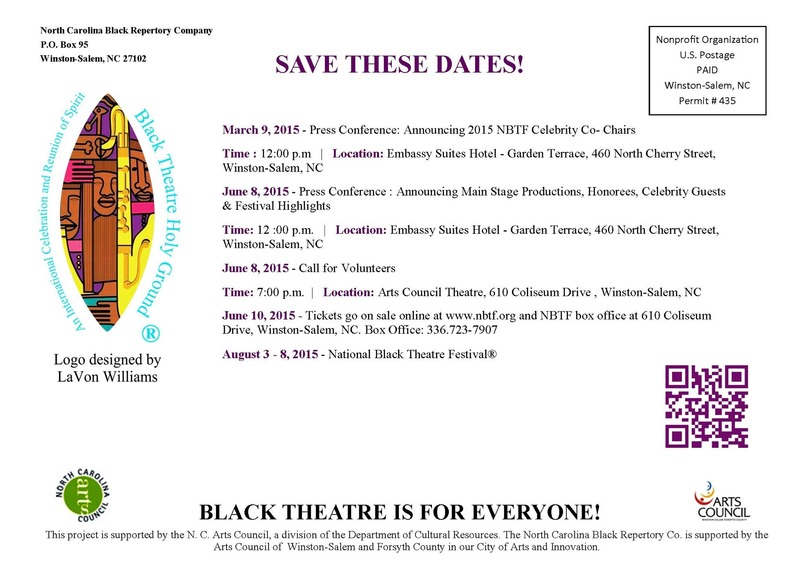 2015 National Black Theatre Festival – Marvtastic Dates for Announcements from March to August 3rd Start of Festival!! Be Part of The Marvtastic Society Also! BRAVO! BRAVO! Bravisimo! How awesome. THIS is what I’m talking ( on paper ) about. See you soon. Yes! Sounds like powerful wings delivering power filled messages. This looks to me like a way to spiritually/healthily feed the’ souls of Black Folks’, to borrow a phrase. I’m not sure if this is the appropriate place to ‘say’ this but to me, the current and wings that carry all this energy of sing, dance, act,’ move like you know how’… I see you, us flying with the mantle. Yesterday I remembered along with tons of folks that it was the commemoration of the day that Malcolm X was assassinated. I promise, I will be brief. Malcolm was surely about ‘moving forward. So folks, I must say, I like and appreciate your style. ‘Sing’!, until you need some honey and lemon. “Dance’, until your feet ask for a glass of cool water. Write until an emergency broadcast message goes out announcing that there is a global shortage of ‘INK’…. OK, I’m starting to be longwinded. Go ahead y’all. And the church says, Amen. December : Ossie Davis’ Birthday Month – Remember Our Best! Atlanta: A Play About the 1943 “6888 Battalion” American Patriots Wins — Best Play at Atlanta Black Theatre Festival! Samuel L. Jackson Works! Now He Teaches How to Work. Learn to Fish! Prolific Playwright/Producer Susan Parks Accounts for President Donald’s First 100 Days and More! Support Phenomenal Theatre!!! 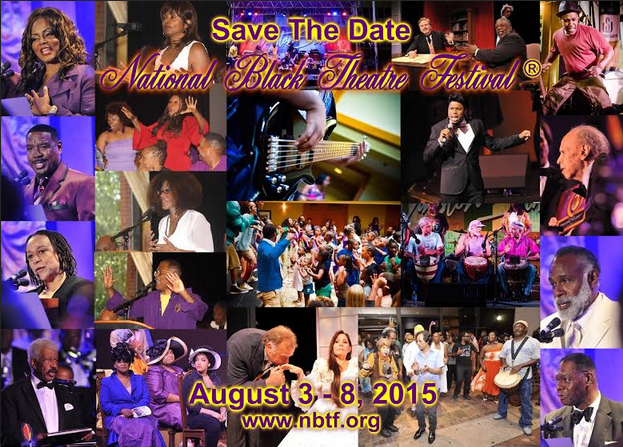 The Clothesline Muse Production to Showcase at 2015 NBTF! Missing Loften Mitchell… Before Theatre Festivals Begin! Flashback 2003: Letter to Playwright and Friend Ron Milner After the NBTF in 2003 – Miss You Big Guy! NYC: “Glimpsing and Ear-Shy” of the Great Woodie Kings Jr. and a sense of his… Modus Operandi! Harlem: Marlon A. Greer and David Finn Launch Focus Broadcasting Network FBN)! PLAYBILL Declares … Woodie King Jr. As A “Man on A Mission”! NYC: Respect to Garland Lee Thompson…Awesome Ancestor! Rare Opportunity…Find Out if you are Ready for Broadway, TV, Modeling Commercials, Sitcoms, Movie Extras!!! NYC: National Black Theatre, Inc. of Harlem Has Monday Reading Series – Morgan McGuire This Week! Donate Now! Kickstarter -New Federal Theatre Stages Amiri Baraka’s final play, about W.E.B. DuBois. Do You Want to Learn From the Best Theatre-Arts Project in the Nation? The Late Ossie Davis – Was Always Encouraging Thinkers and Humanity in General! Somebody Make A Phone Call! “Black Nativity” – Langston & Jacob : Where is This Film This Year? Bianca Jones… With Some of [Our] Daughters Nothing is Private “Go Baby” Love You! Lem Peterkin’s Photos NYC: Tribute to Our Theatre and Management Legendary Rome Neal! The Great Entertainers 4 You…: Donny Ray Evins Seasoned Performances of Nat King Cole… and Other Classic Vocal Stylists! Itz Black Theatre Magazine is dedicated to the memory of the late Ossie Davis & Ruby Dee, Dr. Pearl Primus, David Kendig, Larry Leon Hamlin, Louise Anderson, Lottie "Darty" Williams,Dr. Beny Primm, Neal Harris, Ms. Brenda Miller, Dr. Papalardo, Dr. Konoshima, Dr. James Gaddy, Mrs. Helene Jenkins, Mrs. Adelson, Mrs. Gertrude Schwartz, Fr. 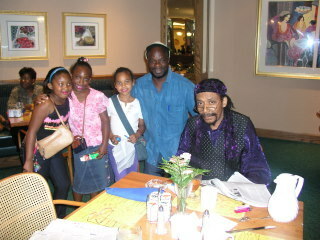 Innocent Egbuljie, Prof. Pat Gibson, Prof. Janell Drone, Ph.D. and John Ertha my greatest fans. As such, Itz Black Theatre Magazine supports actors, singers, playwrights, writers, artists, producers, musicians, dancers, publicists, choreographers, dramatist, directors,celebrities, costume designers,stage, lighting, sound, graphic technical arts, printers, publishers, patrons, grants, agents, venues, journalists, media, advertisers, accountants, curators, archivers, merchandisers, photographers, secretaries, ushers, box office, theatre companies founders, awards organizations, and unions that make up the "amalgamation" of the art form(s), industries and business of the thing called the theatre arts. Itz Black Theatre is about the oral and production history of Black Theatre and aesthetics of the African Diaspora as a vibrant division of the Humanities entertaining, decoding, deciphering the human condition to make better people and a better world by allowing art to fashion and freeze...for reflective teaching and learning practices, life's essential moments, characters, stories, poetics, comedies, politics, history, tragedy, wisdom, love, sadness, strengths, philosophies, sermons, frailties and triumphs all-too-human for the noble benefit -- of future generations. The woman who came forward and helped lead the LAPD to Nipsey Hussle’s alleged killer, Eric Holder, is now being investigated.